Thank you for your interest in a Guided Night Photography Tour! 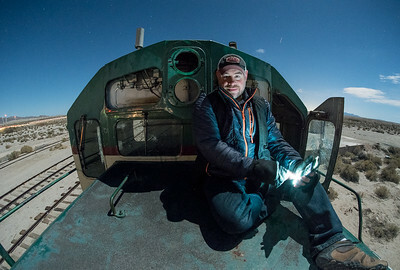 There are two primary types of night photography tours that I offer, each offering its own style and experience. The first is “long exposure” photography using ambient moonlight and artificial lighting (light painting) to illuminate the landscape and subjects. The second is “short exposure/high ISO” photography on moonless nights in which you are seeking to photograph the Milky Way stretching across the landscape. There are several locations that work well for each type that I am happy to make part of a route or, we can work together to incorporate specific places that interest you. Based on the type of night photography you are seeking, we'll look at the moon phase to ensure the skies set the appropriate backdrop. Sessions last for 4-5 hours and start just after twilight. I provide the transportation to the night’s locations in an SUV that can easily take up to three people and gear. You’ll also receive printed material so you don’t have to worry about remembering everything we talk about as well as a matted print of one of the locations we’ll be visiting. Besides your DSLR or mirrorless camera, you should plan on bringing a sturdy tripod, a shutter release cable and flashlights. You may also want to bring some bug spray and some snacks. Your tripod should be something that is easy to operate and beyond the quality of what you'd typically find at a chain store or what you may have gotten free with your camera. When a tripod breaks, the shoot is over. If you do not have something sturdy, I have a spare that you are welcome to use. Your shutter release cable should allow your camera to take exposures lasting beyond your camera's default of 30 seconds. Often times, this is not the free wireless selfie trigger you may have gotten with your camera. Please check with me to ensure you've got the right cable. Do you want to light paint? Me too. Bring colored flashlights, strobes or whatever you want with which to light up the night. Also bring a standard flashlight for walking around and seeing the back of your camera. My spouse/significant other/friend/family member isn't a photographer but wants to join us. Is that okay? Yep! I get it - sometimes your friends and family worry when you tell them you are going to lurk around in the dark with a stranger. Non shooting tag-alongs are welcome at no additional fee. Remember, the max group size is always three so keep that in mind when considering your travel plans. That is a great question. We'd always like to think that it'll all work out but sometimes nature has other plans. Flexibility is key. When you book a night, I also reserve the night before and the night after for you so that we can maximize our chances for great skies. What are the rates and how do I book? A deposit of 50% is required to secure a date with the balance due on the night of the shoot. If your travel plans change, or the weather does not cooperate for the date booked, the deposit can be transferred to another date. Deposits are transferrable but not refundable as your booking has prohibited other photographers from reserving the evening. Please note that guided tours are not offered on the islands. Please use the contact option at the top of this page to move forward with a booking or to discuss details. I look forward to hearing from you! Yes! You can purchase a gift certificate for a private session! Head on over to the Gift Certificate page by clicking here. 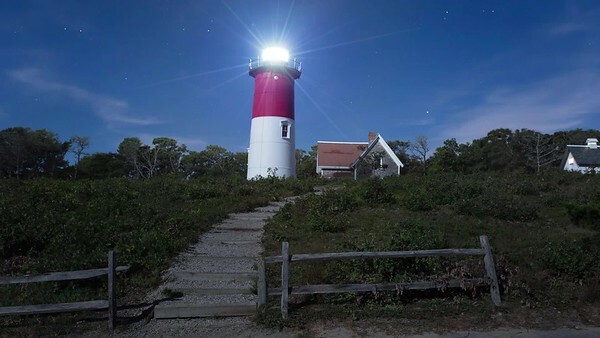 Tim Little is the only Cape Cod based photographer who shoots exclusively at night. 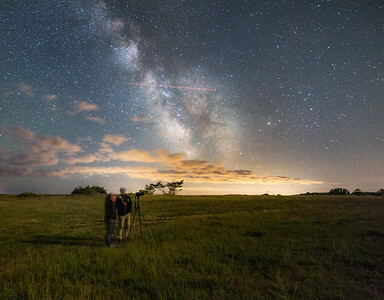 He maintains the largest collection of night photography featuring Cape Cod and the Islands. His book “Cape Cod Nights: A Photographic Exploration of Cape Cod and the Islands After Dark” was released in 2013 in partnership with Schiffer Books. Tim has been featured in Cape Cod Life, Cape Cod Magazine, and Space.com’s top 100 of 2015 as well as many other publications. Stay up to date on art offerings, gallery schedules and workshops via our newsletter. Sign up here!